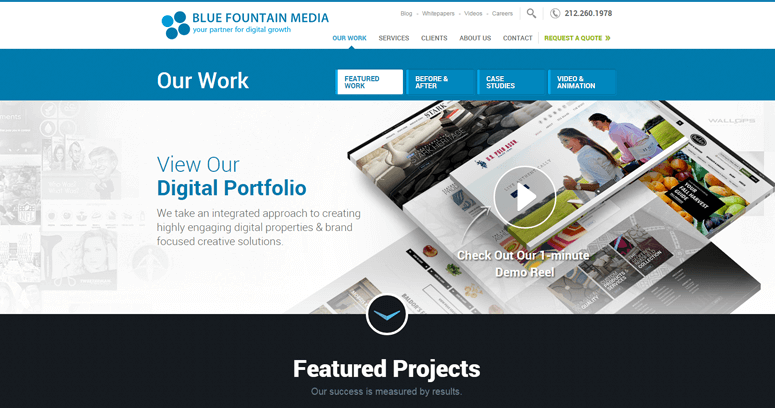 Over the years, Blue Fountain Media have helped thousands of companies with their digital marketing needs, and although their main headquarters is stationed in New York, New York, they have opened up offices in both Chicago and Seattle to make sure that all of their clients have a closer office to head to. 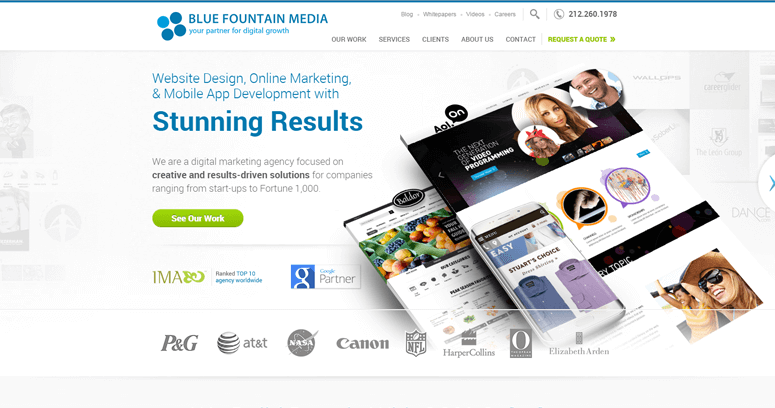 They are actually considered to be the best web design company available in the industry, and they even have the best web designer in the industry working for them. 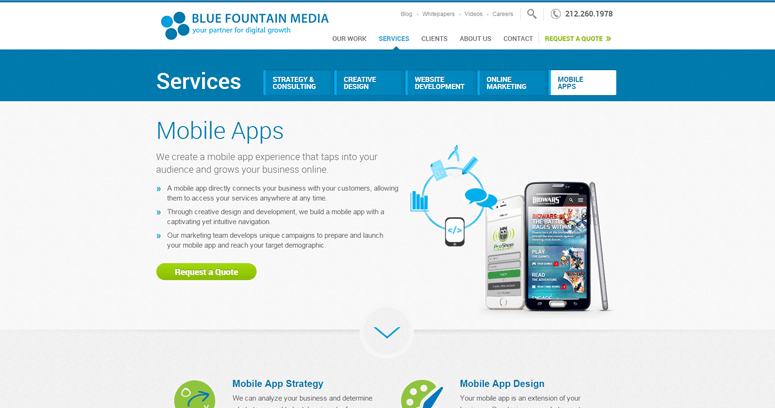 The main areas that they provide services in are mobile apps, strategy & consulting, creative design, online marketing, and web & mobile development. Some of the other services that they are able to provide are display advertising, email marketing, social media marketing, conversion rate optimization, campaign strategy, brand identity, business analysis & consulting, and content strategy & copywriting.